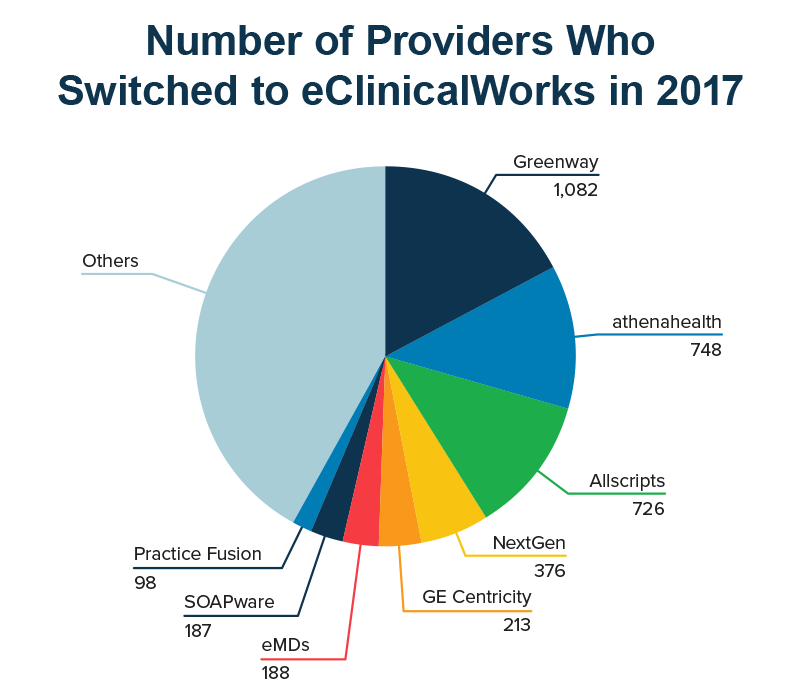 See why practices are switching to the eClinicalWorks unified EHR. eClinicalWorks is leading the way with features like online appointment booking, patient scheduling, MIPS dashboards, health and wellness app integration, and hospital interoperability. 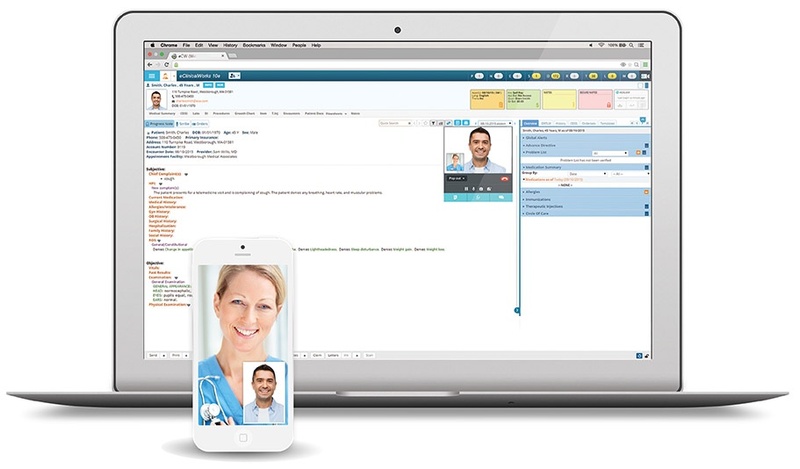 View a demonstration of the new cloud-based V11 to see how eClinicalWorks can help you with care coordination, patient engagement, and more. healow TeleVisits is integrated within eClinicalWorks to help you extend your clinical reach and save time traveling between facilities. TeleVisits can reduce unnecessary admissions or readmissions, and even help in avoiding unnecessary transfers to another facility when a remote specialist can determine the patient’s best option. TeleVisits are perfect for situations when a quick visit is needed, eliminating the need for immobile or potentially contagious patients to visit the office. The eClinicalWorks Virtual Assistant, EVA, enables customers to use the EHR in a conversational manner to help increase efficiencies. Available with V11, EVA, the voice activated assistant is meant to help clinicians find relevant patient information more quickly. Cloud based, and in keeping with the ever more connected nature of healthcare IT, EVA will connect users to the broader ecosystem of healthcare delivery. To activate the software, a physician is able to say, "Hello, Eva," followed by a request to find a patient file. Eva responds with "What would you like to do?" alongside a menu of possible selections — for example, a physician might say, "Eva, show me today's lab." Better healthcare starts with more engaged patients. With healow, patients enjoy unparalleled access to personal health information, visit summaries and lab results. With Patient Portal, they can book appointments, keep track of medications, and exchange messages with their provider — anytime, anyplace, on any device! And the healow family of apps are complete lifestyle and health management tools, allowing patients to integrate wellness monitors and devices for everything from blood pressure, weight and activity, to calories, body-mass index, and sleep. 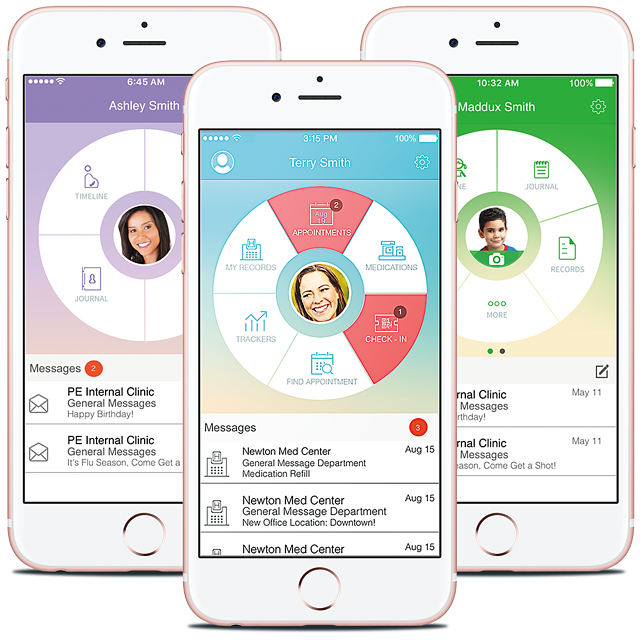 healow Mom helps with every stage of pregnancy, and healow Kids gives busy parents the perfect tool to keep track of the whole family’s health and wellness! 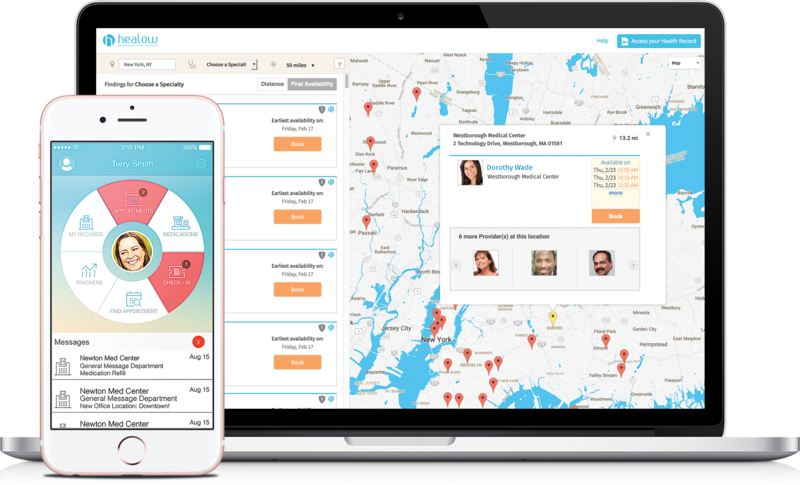 Manage the health of your family from your phone. Customized Messenger Campaigns target patients who can benefit from additional health reminders. Using clinically relevant information, Messenger identifies patients who need reminders for follow-up care. 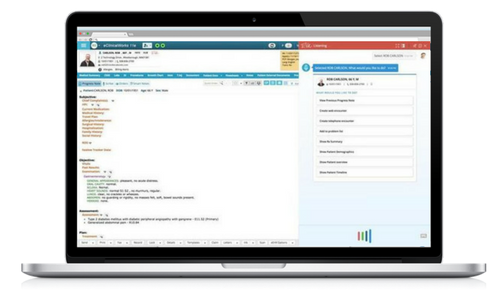 Generate lists of patients by specific conditions or specialties to identify and close gaps in care. 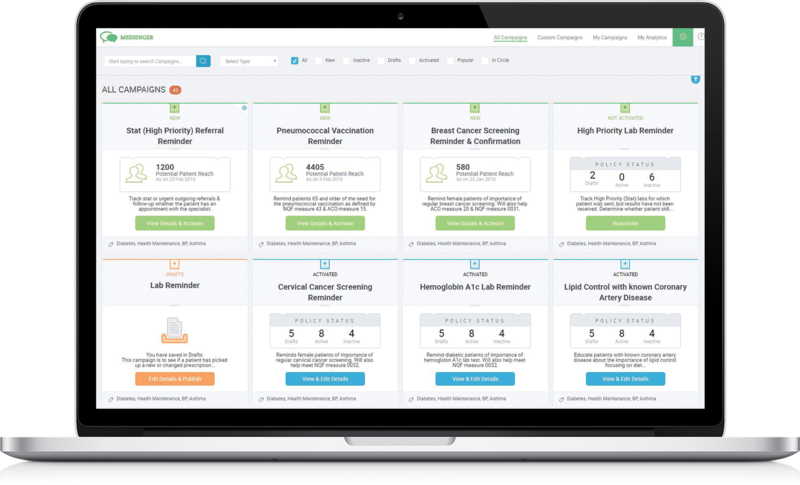 Use campaigns for checkup reminders, administrative notifications, or those overdue for colonoscopies, mammograms, and more. 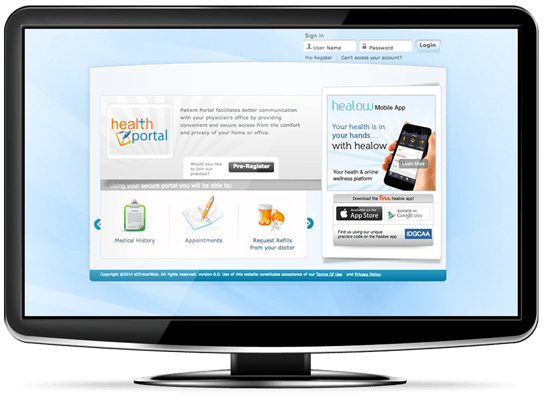 Reach patients by phone, email, text, Patient Portal or healow app. Messenger Analytics monitors and modifies campaigns to enhance effectiveness. 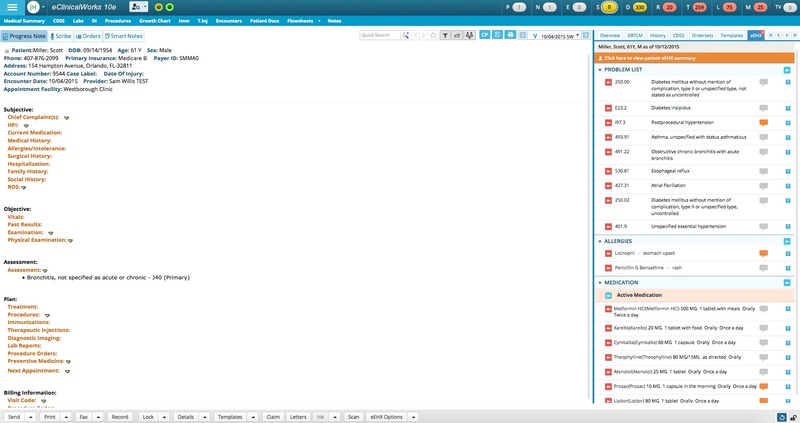 eClinicalWorks EHR offers device integration within your Web browser. With eCW, you get more than just a PDF result – you are able to capture structured data for current and past results, complete trend analysis, and create flowsheets that result in enhanced patient care. eClinicalWorks supports uni- and bi-directional communication with any radiology vendor or RIS system capable of supporting HL7 messaging. The incoming results interface will supports both solicited and unsolicited results to attach automatically to the patient’s record. eClinicalWorks also supports a PACS URL link in the HL7 result message to launch a viewer containing the image. 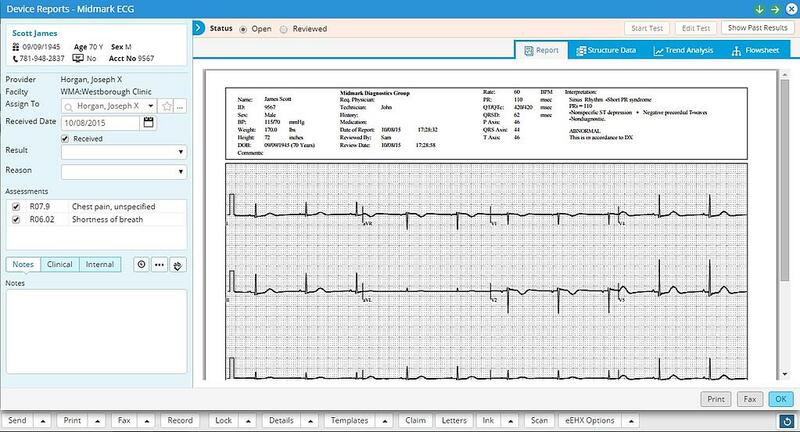 With eClinicalWorks, you can import patient reports into the Patient Documents section electronically and automatically, utilizing HL7 messaging. It also supports an embedded PDF report within the HL7 message.